Although last month, U.S. ambassador to the U.N. Nikki Haley (who is a war hawk) testified before the U.S. House of Representatives committee on Iran’s nuclear and said that “In reference to the JCPOA, we’re not seeing any sort of violations of that” although she did mention that “They’re going to continue their nuclear capabilities and we just gave them a lot of money to do it with” following Trump’s view that the Iran’s nuclear deal was bad to begin with. Mr. Trump has enormous latitude to abandon the accord. It was never a treaty because President Barack Obama knew that opposition to the agreement in the Republican-dominated Senate was so great that he could never get the two-thirds majority needed for ratification. Instead, he made an executive agreement, one that his successor could eliminate by merely disregarding the accord’s requirement to waive sanctions against Iran. Trump is so eager to accuse Iran of violating the nuclear deal that he even hesitated to certify that Iran complied with the nuclear agreement. “Trump initially balked at certifying, for a second time since he took office, that Iran is in compliance with the agreement. He later reluctantly approved the certification” according to the report. Parties who signed on to the nuclear agreement which includes Britain, China, France, Germany and Russia do not share Trump’s view. Trump told The Wall Street Journal that “We’re doing very detailed studies” and according to Trump “I think they’ll be noncompliant.” Trump surely hopes that Iran would be non-compliant. It seems that the Trump administration is looking for any excuse to go to war with Iran even though Russia and China will back Iran if the U.S., Israel and Saudi Arabia were foolish enough to launch an attack on the Islamic Republic. Does the Trump Administration realize that Iran is not Iraq? The U.S. is setting itself up for another humiliating defeat, perhaps worse than Vietnam. Iran has a capable military plus a population (whether they are for or against the Iranian government) that would join the fight to defend their homeland. Hezbollah in Southern Lebanon and Syria would also prepare for war against Israel and the U.S. 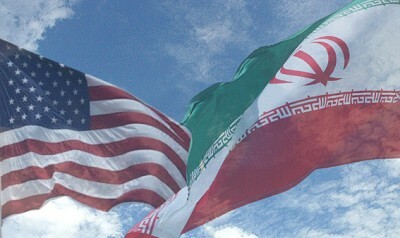 Besides a devastating military confrontation, Washington’s war with Iran would have enormous repercussions for the U.S. economy including the fact that Iran, Russia and possibly China would most likely dump the U.S. dollar in retaliation. Trump wants to destabilize and eventually destroy Iran so that Israel can dominate the Middle East, something that the Israeli’s would appreciate. If you follow the money, the U.S. and Israel have a mutual interest in the Middle East and that is to control its vast natural resources and its Arab population. A war against Iran seems inevitable, however, it is important to note that Iran has a strong military (stronger than even North Korea) that can defend itself and with Russia and China on its side, the U.S. would be in a lose-lose situation. However, one important fact to consider is that the U.S. usually goes to war against weaker nations like Panama or Grenada and even Iraq who was already weakened by a decade of sanctions under then U.S. president Bill Clinton which paved the way for George W. Bush’s invasion in 2003. The Trump administration is edging towards war in two continents which would cost trillions of dollars which the U.S. economy can not afford. A war with Iran seems inevitable. North Korea and even Venezuela are also on Washington’s list for a future military conflict or regime change. One thing is certain, Trump will enter a new war in the foreseeable future following his predecessors long legacy of war, death and destruction. This article was originally published by Silent Crow News.